Hello! My name is Nathalie and I磎 a French teacher. I teach English to students aged from 11 to around 20. 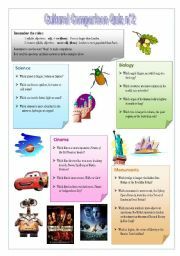 I love creating and practising news lessons very regularly, that磗 why I like ESL Printables so much! 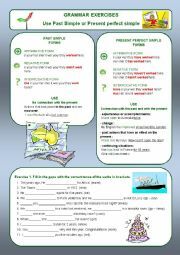 Second part of the Worksheet "Past Simple vs Present Perfect". 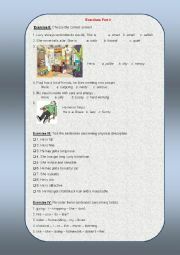 3 more exercises and key included. Four more exercises but focusing only on Past simple this time. Three different forms. Key included. Learn how to ask questions about looks, likes and personality. 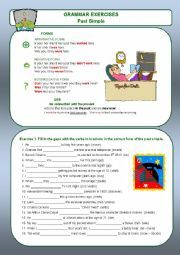 With the help of this worksheet our students won磘 confuse the verbs "like", "look like" or "be like" any more. Examples + exercise. 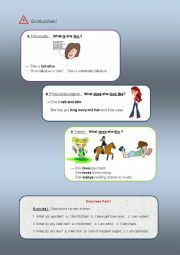 This is the second set of two quizzes for students to use comparatives. 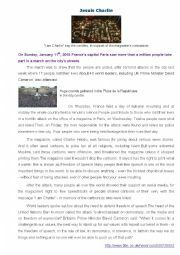 It is also a cultural quiz with questions on Science, Biology, cinema and monuments. Key is included, as well as a B&W version. I hope your students will enjoy it as much as mine. 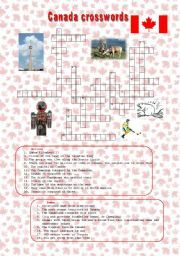 Crosswords about Canada to test the students or teach them vocabulary and culture. Answer key included. Have fun! 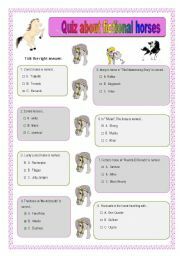 A fun quiz to talk about fictional horses (horses in animations, films, comics, literature...). This is a game but you can also ask your students to explain who the horses in the wrong answers are; in what film, book... they appear, who the author is or even the name of their master. The key is included. 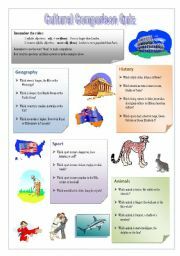 A ppt to present animals (singular and plural forms)finishing with rules on singular/plural. This is part 2/3. A ppt to present animals (singular and plural forms)finishing with rules on singular/plural. This is part 3/3. 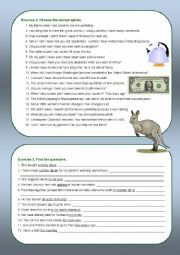 A ppt to present animals (singular and plural forms)finishing with rules on singular/plural. This is part 1/3.